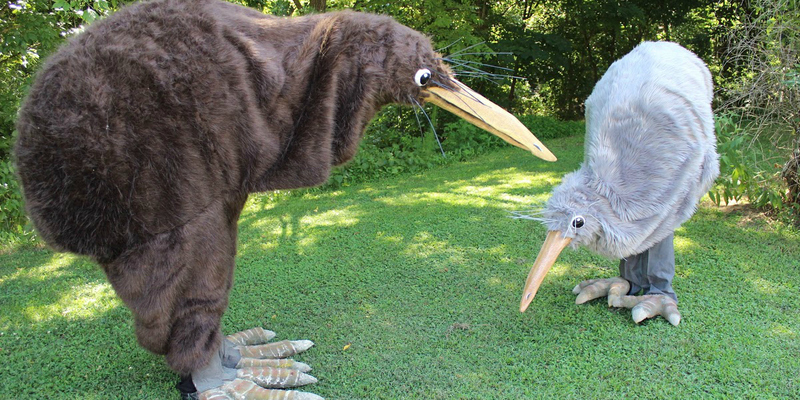 18th Annual Giant Puppet Theatre Pageant: OF WINGS AND FEET! A wild and wondrous spectacle for all, the friendly but fierce puppeteers and musicians of Paperhand invite you to join the puppet revolution! Discover what it means to be human even if you’re a bird or a turtle. Help humanity find its unique place in the world by joining the Circus of Beginnings and Ends. Tap into the magic and mystery of the living land, sea, and sky in an epic spectacle of struggle and resistance for our times. Now is the time to decide whether you can make a difference! For the past 18 years, Paperhand has been using giant puppets, masks, stilts, shadows, and cardboard trickery to inspire audiences across the south east and beyond. Don’t miss the latest from this heart-filled, award-winning NC troupe. For more information about the organization, please visit Paperhand Puppet Intervention. Special guests Crystal Bright and the Silver Hands will be ready to greet you at 6:20 at the Saturday show before Paperhand takes the stage! Special guest Cackalack Thunder will be on stage starting at 2:20 on Sunday to keep you entertained! This event is General Admission. Tickets are $20 for Adults, $15 for Seniors (60+) and Students (13-20), and $10 for Children (12 and under). A $3 Facility Fee and NC Sales tax will be added to the price of each ticket. Please note: There is an additional $3.50 per ticket web fee for Internet purchases; call 336-333-2605 to avoid those charges, or visit the theatre box office!